rp he July-August issue of The Good News presented archaeological evidence that confirms and clarifies the biblical record of the early kings of the northern 10 tribes of Israel after the death of Solomon. We continue the story with the later kings and downfall of the kingdom. We come to the final stages of the northern kingdom (Israel) as a nation. Jehu's downfall came at the halfway mark of Israel's 19 kings and, tragically, the kings who followed him would all refuse to repent and turn to the true God. Meanwhile, Judah remained more faithful to God and continued for more than a century after the fall of the northern 10 tribes of Israel. Much archaeological evidence validates the account of Israel's final years. King Tiglath-Pileser strengthened the Assyrian empire, making it an early superpower. After ascending the throne, he expanded his empire by attacking and invading smaller nearby kingdoms—including Israel. extensive archaeological dig of Megiddo, the site of an important northern-kingdom stronghold. The excavations produced a beautiful agate seal depicting a roaring lion. The Hebrew inscription read, "Belonging to Shema, servant of Jeroboam." From the dating of the city level, certain archaeologists proposed the king referred to was Jeroboam II (791-751 B.C.). It is not uncommon for seals to appear in excavations in the Middle East. Bible commentator William Barclay explains: "It was not the signature [as we use today], but the seal that authenticated. In commercial and political documents it was the seal, imprinted with the signet ring, which made the document valid; it was the seal which authenticated a will; it was the seal on the mouth of a sack or a crate that guaranteed the contents. Seals were made of pottery, metal or jewels. In the British Museum there are seals of most of the Assyrian kings. The seal was fixed on clay and the clay attached to the document" (Daily Study Bible Commentary, Bible Explorer, Epiphany Software, San Jose, Calif.). Since seals were durable and vital for political and commercial transactions, they were produced in abundance for the upper classes of society. As we see in this series, several seals have been found that include the names of monarchs mentioned in the Bible. Meanwhile, true to God's prediction, Jehu's dynasty lasted only "to the fourth generation" (2 Kings 10:30). Jeroboam II was of Jehu's third generation. His son, Zechariah, the fourth successor, was assassinated during his first year as king. From then on, because of ever-increasing evils on a national scale, Israel could no longer count on God's protection. The nation plunged headlong into a free fall of lawlessness and disregard for God. The conqueror of Israel, King Sargon of Assyria, receives a report from Tartan, his commander in chief. The Assyrians recorded their conquests in exquisite carved reliefs such as this, excavated at an ancient Assyrian capital city. Nebat, who had made Israel sin. Then Shal-lum the son of Jabesh conspired against him, and struck and killed him in front of the people; and he reigned in his place . . . This was the word of the Lord which He spoke to Jehu, saying, 'Your sons shall sit on the throne of Israel to the fourth generation. And so it was' "(2 Kings 15:8-12). So, after almost 90 years, Jehu's dynasty came to a violent end. From then on, assassinations and political instability would be the rule until the final collapse of the northern kingdom. This military and political weakness would make the Israelites in the north an easy prey for the resurgent Assyrian Empire. It is sad to reflect on how this once-mighty kingdom, which had halted the Assyrian war machine a century earlier, could muster hardly any resistance (except during the reign of Jeroboam II). According to an Assyrian inscription, King Ahab had contributed "two thousand chariots and ten thousand foot soldiers" to form a successful military coalition to stop the Assyrian advance. A century later, when the Assyrian menace appeared again, the northern Israelite armies were reduced to "fifty horsemen, ten chariots, and ten thousand foot soldiers; for the king of Syria had destroyed them" (2 Kings 13:7). Shallum, the assassin of King Azariah, lasted only a month on the throne before he, too, was murdered. "Shallum the son of Jabesh became king . . . and he reigned a full month in Samaria. For Menahem the son of Gadi went up from Tirzah, came to Samaria, and struck Shallum the son of Jabesh in Samaria and killed him; and he reigned in his place" (2 Kings 15:13-15). Menahem reigned for 10 years but could not resist the advancing Assyrian army. To avoid outright conquest, he began paying the Assyrians tribute. "And he did evil in the sight of the Lord ... Pul [Tiglath-pileser] king of Assyria came against the land; and Menahem gave Pul a thousand talents of silver, that his hand might be with him to strengthen the kingdom under his control ... So the king of Assyria turned back, and did not stay there in the land" (2 Kings 15:18-20). The Assyrians, who meticulously recorded their kings' triumphs, mentioned the tribute money given by King Menahem. The annals show the amazing accuracy of the biblical account. "The outstanding event of Menahem's reign," notes The Interpreter's Dictionary of the Bible, "was the supremacy of Assyrian power in the West. This is confirmed in detail from Assyrian sources . . . When Tiglath-pileser III of Assyrian took the throne of Babylon in 729, he assumed the name Pulu [Pul in the Bible] . . . In his annals Tiglath-pileser records the receiving of tribute from various nations of the West—Menahem of Samaria, Rezin of Damascus, Hiram of Tyre, etc. A fragmentary text adds further details about Menahem. 'He was overwhelmed like a snowstorm and fled like a bird, alone, and bowed to the feet of his conqueror, who returned him to his place and imposed tribute upon him'" (Vol. III, 1962, p. 348). The Assyrians were a terrifying force as they attacked nearby kingdoms. In this Assyrian carving depicting the capture of a walled city, an archer at right shoots arrows while protected by a shiled-bearer. In front of them a wheeled battering ram gouges holes in the city walls. Above the ram are three defenders who have been impaled.At left, Assyrian infantry storm the walls using scaling ladders. responsibility . . . Whatever Pekah's objective, he was doomed to disappointment for within six years (by 734) Tiglath-pileser returned to the west and quickly began to annex vast areas of Syria and Palestine, especially in Galilee and the Transjordan" (Merrill, p. 396). The Bible records the story of the invasion of Tiglath-pileser in 2 Kings 15:29-30: "In the days of Pekah king of Israel, Tiglath-Pileser king of Assyria came and took Ijon ... Hazor, Gilead, and Galilee, all the land of Naphtali; and he carried them captive to Assyria. Then Hoshea the son of Elah led a conspiracy against Pekah . . . and killed him; so he reigned in his place . . ."
The biblical account is corroborated in an Assyrian victory stela, or inscribed, commemorative stone (also spelled "stele"), of Pulu ( Tiglath-pileser). 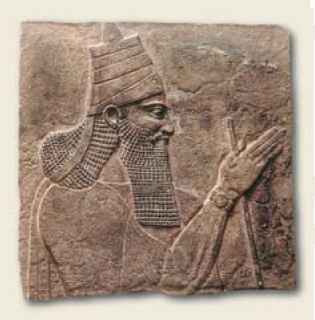 The Assyrian king boasts, "The House of Omri [Israel] ... all of its inhabitants and goods, I took to Assyria. They overthrew their king Pekah and I installed Hoshea as their king. I received from them ten talents of gold, a thousand talents of silver as tribute and I deported them to Assyria" (Archaeological Bible Commentary, 1984, p. 133). This began a 15-year period during which the northern Israelites were forcibly deported from their homeland to Assyrian territory. Few would remain in the land when the Assyrians were through. Amos, one of the prophets of that time, revealed what God would allow to happen to the northern tribes. "Thus says the LORD: 'As a shepherd takes from the mouth of a lion two legs or a piece of an ear, so shall the children of Israel be taken out who dwell in Samaria'" (Amos 3:12). The Assyrian records again confirm the biblical account, although they show a bias that is absent in Scripture. We see a marked contrast between the boisterous claims of the Assyrian kings—who never admitted to losing any battles—and the biblical narrative, which is frank and honest about their kings' moral lapses and sins and their resulting defeats. 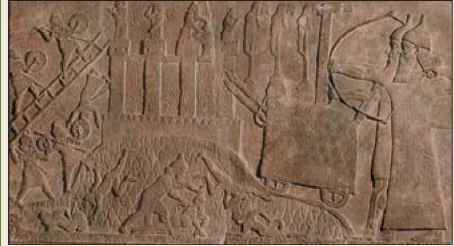 Writing for Biblical Archaeology Review, Erika Bleibtreu observes: "According to the narrative representation on these reliefs, the Assyrians never lost a battle. Indeed, no Assyrian soldier is ever shown wounded or killed. 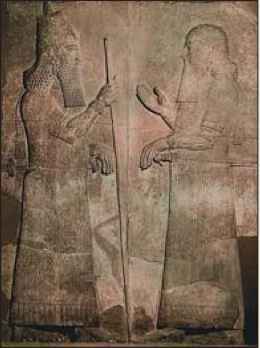 The benevolence of the gods is always bestowed on the Assyrian king and his troops. Like the official written records, the scenes and figures are selected and arranged to record the king's heroic deeds and to describe him as 'beloved of the gods'" (January-February 1991, p. 57). Gozan, and in the cities of the Medes. For so it was that the children of Israel had sinned against the Lord their God ... and they had feared other gods, and had walked in the statutes of the nations whom the Lord had cast out from before the children of Israel ..."(2 Kings 17:5-8). The Assyrian records also mention the conquest of Samaria by King Shalmaneser V,Tiglath-pileser's son. But this king died unexpectedly during the siege of Samaria, and his son, Sargon II, completed the job. In 1843 Paul Emil Botta uncovered the ruins of Sargon's palace, where a wall relief called "The Display Inscription" records Sargon's victory over Samaria. In it Sargon boasted: "At the beginning of my rule, in my first year of reign, I besieged and conquered Samaria ... I led away into captivity 27,290 people who lived there . . . I caused others to take their portion. People of the lands, prisoners my hand had captured, I settled there. My officials I placed over them as governors." The Bible states some of the reasons for the Israelites' removal: They "caused their sons and daughters to pass through the fire, practiced witchcraft and soothsaying, and sold themselves to do evil . . . Therefore the Lord was very angry with Israel, and removed them from His sight; there was none left but the tribe of Judah alone" (2 Kings 17:17-18). The sad fate of peoples conquered by Assyria is graphically shown in these carvings. In the panel above, scribes (upper center) record the plunder as livestock are driven away. The town's surviving inhabitants are carried away in ox-carts to an unknown land and uncertain future. Assyrian king Tiglath-Pileser boasted of such onnquests, "All the people and their goods I carried off to Assyria." In the panel at right, the battle rages around another town as its defeated defenders begin the long walk into exile. Continued from page 9 captivity, God gave through the prophet Ezekiel additional reasons for the destruction and exile of both nations. "Her priests have violated My law and profaned My holy things; they have not distinguished between the holy and unholy, nor have they made known the difference between the unclean and the clean; and they have hidden their eyes from My Sabbaths, so that I am profaned among them" (Ezekiel 22:26). The prophecy compares the priests to wild beasts: "Her princes in her midst are like wolves tearing the prey, to shed blood, to destroy people, and to get dishonest gain. Her prophets plastered them with untem-pered mortar, seeing false visions, and divining lies for them, saying, 'Thus says the Lord God,' when the Lord had not spoken" (verse 28). "The people of the land have used oppressions, committed robbery, and mistreated the poor and needy; and they wrongfully oppress the stranger. So I sought for a man among them who would make a wall, and stand in the gap before Me on behalf of the land, that I should not destroy it; but I found no one. Therefore I have poured out My indignation on them; I have consumed them with the fire of My wrath; and I have recompensed their deeds on their own heads," says the Lord God" (verses 29-31). Epilogue: Where did Israel go? What happened to the Israelites after they were deported into Assyria? Most people think the 10 northern tribes of Israel have disappeared forever. They are often referred to as "the lost 10 tribes." The scholarly consensus is that these people were either assimilated by gentile nations or simply died out altogether. But what does God's Word have to say about their fate? Through the prophets, God depicts them as wandering until His will and plan could be brought to completion. The prophet Amos said: "Behold, the eyes of the Lord God are on the sinful kingdom, and I will destroy it from the face of the earth; yet I will not utterly destroy the house of Jacob, says the Lord. For surely I will command, and will sift the house of Israel among all nations, as grain is sifted in a sieve; yet not the smallest grain shall fall to the ground" (Amos 9:8-9, emphasis added throughout). According to Amos's prophecy, the descendants of these Israelites were fated to wander among the nations until they fulfilled their destiny. God would know exactly where they would be found, for they would not disappear as a people, and He promised not to forget them. God also prophesied: "Yet the number of the children of Israel shall be as the sand of the sea, which cannot be measured or numbered. And it shall come to pass in the place where it was said to them, 'You are not My people,' there it shall be said to them, 'You are sons of the living God.' Then the children of Judah and the children of Israel shall be gathered together, and appoint for themselves one head; and they shall come up out of the land. For great will be the day of Jezreel [at the time of Christ's coming]!" (Hosea 1:10-11). God's plans include the "lost 10 tribes" of Israel as well as Judah, the descendants of the southern kingdom of Judah who include modern-day Jews. After Christ returns to earth, say many biblical prophecies, He will gather their descendants and bring them back to their ancestral homeland. Isaiah prophesied of a second exodus of these peoples from the house of Israel and the house of Judah: "And in that day there shall be a Root of Jesse [Jesus Christ], who shall stand as a banner to the people; for the Gentiles shall seek Him, and His resting place shall be glorious. It shall come to pass in that day that the Lord shall set His hand again the second time to recover the remnant of His people ... and will assemble the outcasts of Israel and gather together the dispersed of Judah ... There will be a highway for the remnant of His people who will be left from Assyria, as it was for Israel in the day that he came up from the land of Egypt" (Isaiah 11:10-16). Many other Bible prophecies describe God's plan for these 10 tribes of Israel. The United Church of God, an International Association, is preparing a booklet on the modern-day identity of their descendants. 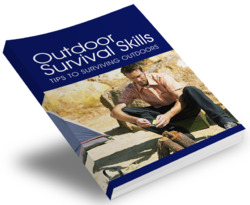 If you would like to be placed on a mailing list to receive this booklet when it is completed, be sure to write to the office in your country (or the country nearest you) on page 2 of this issue. Also, be sure to request the booklets Is the Bible True? and How to Understand the Bible.